11 out of 12 SPL clubs need to vote in favour of plans, while the proposal requires approval of 23 out of 29 SFL clubs as The Rangers F.C. ltd (NEWCO) will not get a vote. Stadium Criteria will be relaxed so the 6000 stadium capacity and artificial surfaces ban will be scrapped. 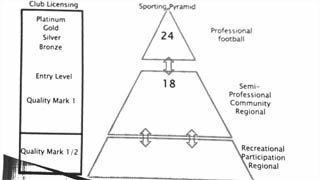 As seen in this document found by BBC Sport Scotland It will eventually include a pyramid structure. The SFL may want to change the 12-12-18 to a 12-12-10-10 so that there is more meaningful games. Edinburgh City and Spartans would be the new clubs.